Offering treatments, procedures and professional advice for various body and skin conditions. Specialising in tattoo removal, laser hair removal, cryopen and skin rejuvenation. 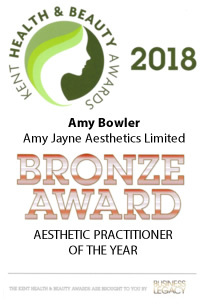 Skincare specialist and laser clinic offering treatments, procedures and professional advice for various body and skin conditions, from unwanted tattoos to skin disorders and imperfections. Offering a unique and tailored experience, working together with my clients to enhance their physical appearance and build on their inner and outer beauty and confidence. A professional, yet personal experience putting the needs of my clients at the forefront of my business and at my highest priority. Laser hair removal is permanent, the hairs that are removed during treatment will not return. For those who have decided it is time to do something about their unwanted tattoo. 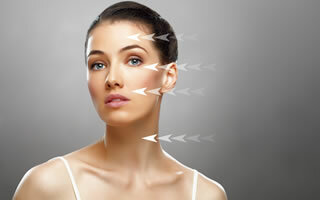 Skin rejuvenation is designed to reduce the appearance of a number of specific skin problems. The removal of Skin Tags, Warts, Verrucae, Pigmentation, Milia, and Cherry Angioma. Had my first sitting for my tattoo removal today with Amy. Super professional, knows exactly what she is talking about and is 100% honest! I’m not going to lie it was uncomfortable on some parts of the tattoo but Amy was brilliant, talked me through and it was over within no time! Other parts of the tattoo didn’t bother me at all. Thank you Amy, you are a diamond. I went to Amy today for tattoo removal. She was very professional and helpful and a lovely environment. Would highly recommend. Had an age spot on my hand treated today by Amy and skin tags treated. Perfect service and such an amazing experience. Amy was totally professional and made the whole experience very calm and spoke through the whole step by step procedure. Really can not recommend her enough. Can’t wait to see the results definitely be coming back! Had my first session with Amy yesterday for laser hair removal on my underarms, it was so so quick, everything was thoroughly explained, it didn’t hurt (in case that’s putting anyone off!) and I can’t wait to go back again for my next session! Looking forward to seeing the results. I’ve waited years to pluck up the courage for laser tattoo removal and finally this year met with Amy for a free consultation. She explained the procedure fully and answered any questions I had. We’re 3 sessions in so far with the tattoo and its fading with each treatment. I’ve also had several cherry angiomas treated by Amy with the cryopen and they’re completely gone. I couldn’t be more pleased with how Amy has been from start to finish, professional but friendly and makes you feel at ease straight away. I’m looking forward to the end result! Had my first treatment for hair removal today. Amy is wonderfully welcoming and puts you at ease, checks you’re happy and comfortable during the treatment. Can’t wait to see results, would highly recommend. You’ll have a patch test first where Amy goes through all the details and what to expect and is happy to answer as many questions as you have.